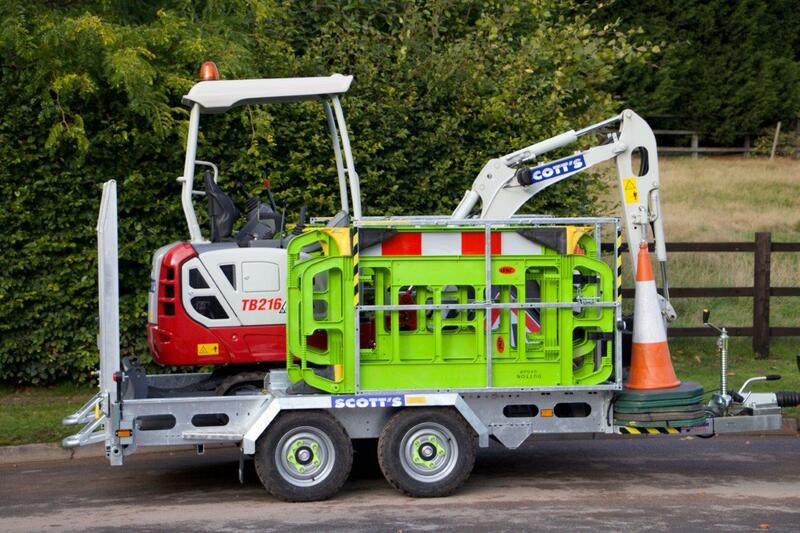 Scotts Hire Ltd can supply powerful, class leading, zero tail excavators on award winning Digadoc safety trailers. Unbeatable reliability combined with market leading trialed and tested safety innovation. All this for a very attractively priced package for 2019. 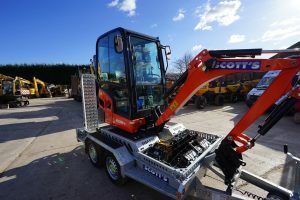 Large range of Telehandler’s available for hire! 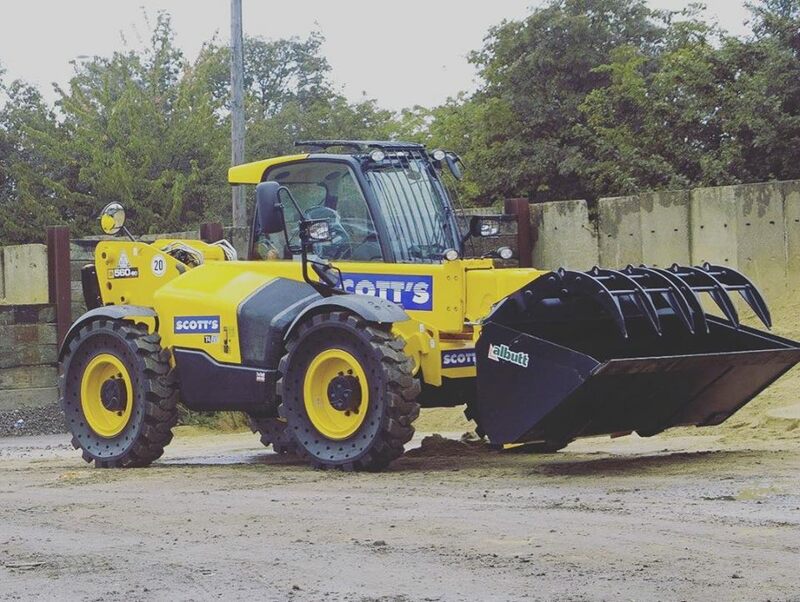 Agri spec , site spec , waste spec and optional salt protection! Attachments for all applications! 6m – 18m! We have an increased demand for this unbeatable fibre optic package. 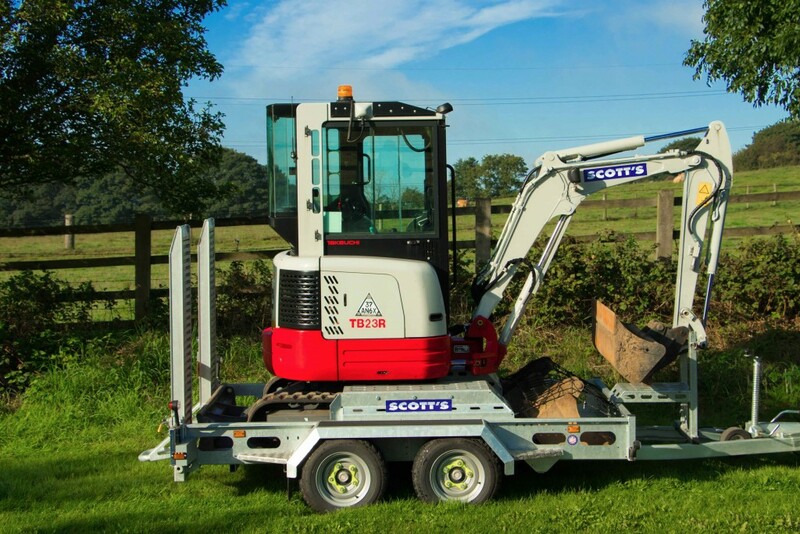 Takeuchi excavator, Digadoc safety trailer, breaker and a 80mm wide 700mm depth custom bucket. 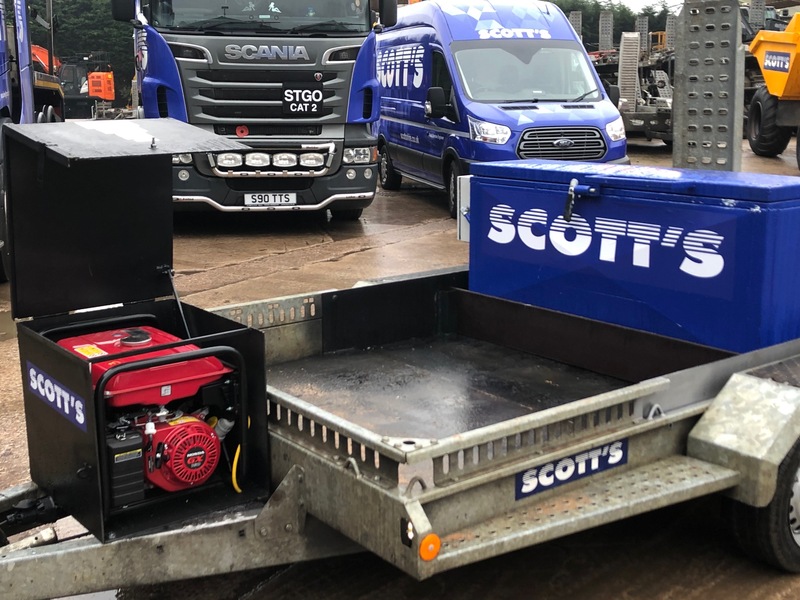 More of the increasingly popular micro hotbox setups leaving the Scotts yard! 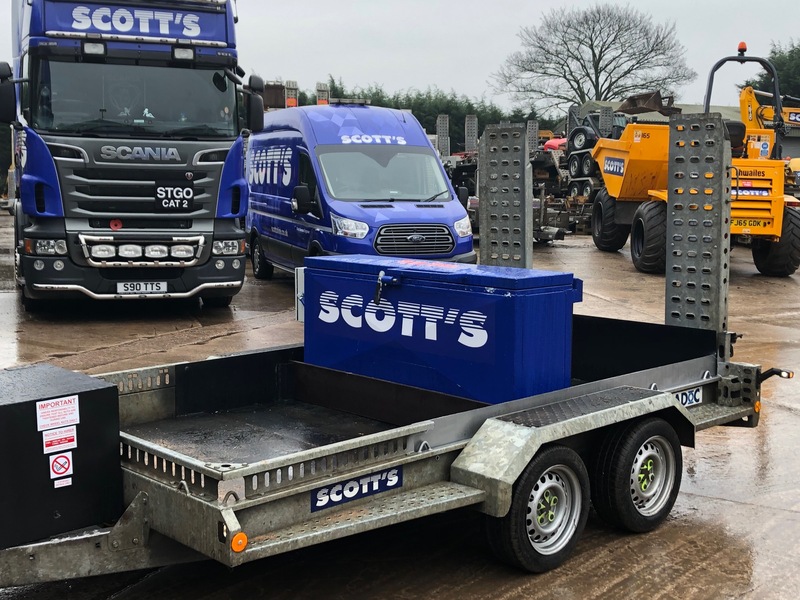 A few more trailer mounted micro hotboxes leaving the Scotts Hire Ltd yard! 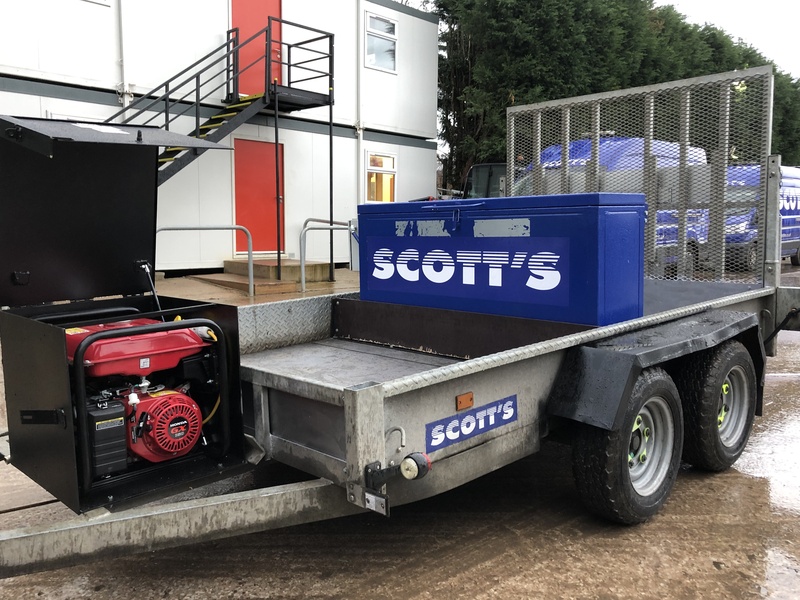 Currently very popular amongst reinstatement gangs, this great package includes a Hotbox that can carry 320kg of tar and a generator inside a lockable box. Become more efficient and self sufficient through the working day. Trailer mounted micro hotboxes are becoming increasingly popular for reinstatement gangs. Hugely increasing productivity and efficiency through the day they are a great asset. 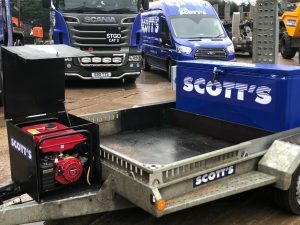 We have constructed a robust hire package that includes trailer, hotbox and generator with locking box. Taking orders now for january. 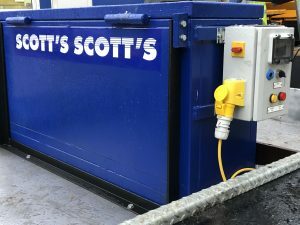 At Scotts Hire Ltd we pride ourselves on the level of service we provide and our understanding of our industry. We developed the Digadoc safety trailer in house and it has become an invaluable tool within the utility sector of our industry. 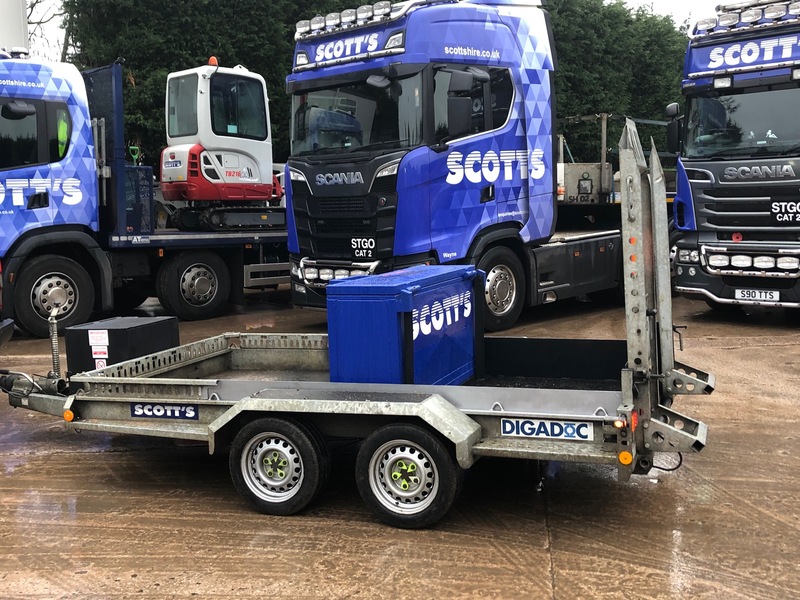 Now our new Digadoc Utility Trailer (see photos) is the next generation, innovation product that we developed while working closely with some of our clients. 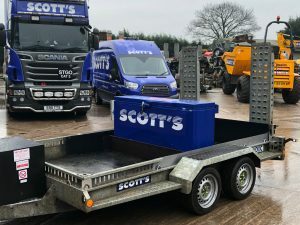 This trailer has large cost saving benefits that have been immediately highlighted and recognized by many. 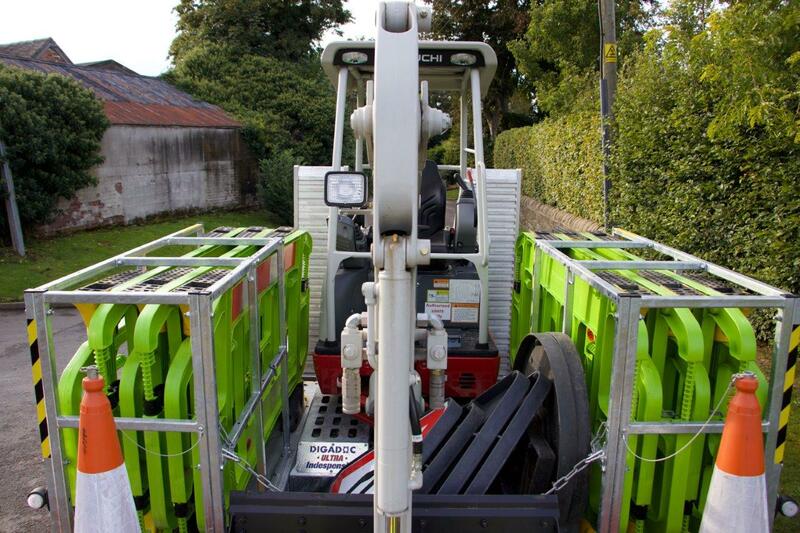 This is in addition to all the safety benefits of a standard Digadoc . 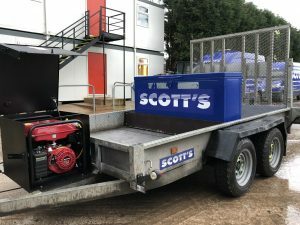 Many multi utility companies are now utilizing these as they are proven to save costs dramatically, eliminating the need for a support/barrier wagon. 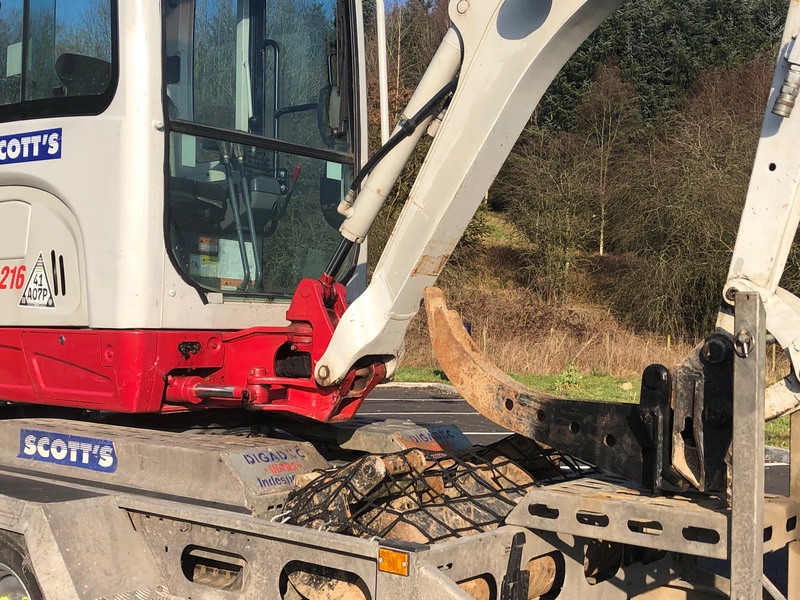 When an excavator is towed out to site behind a vehicle it contains one set of barriers and one set of chapter eight signage, contained in the towing vehicle. 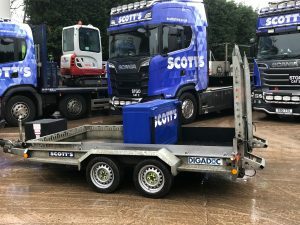 This restricts the gang to completion of one job only and then they have to wait for either reinstatement team to follow and resurface or a barrier wagon to follow up with a second set of barriers, before they can continue to the next site. This wait can potentially be hours. When you factor in labor costs, vehicle costs and hired equipment charges the cost of this delay can potentially be £1000’s. An average of £200 per hour was determined during case studies. In addition to the financial impact, this can have a detrimental effect on KPI targets of a reactive contract. This happens across the country on a daily basis and accounts for an outstanding amount of lost revenue. The Digadoc Utility trailer eliminates this altogether and allows two sets of barriers, cones and chapter eight signage to be towed around at all times. Making a gang more self-sufficient and productive. 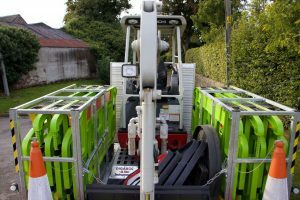 Case studies and vigorous testing has proven that a canopied excavator, breaker, 3x buckets as well as a full set of cones, barriers and signage can be transported safely on the Utility trailer. We are very excited about our product and we continue to receive great feedback from our clients. 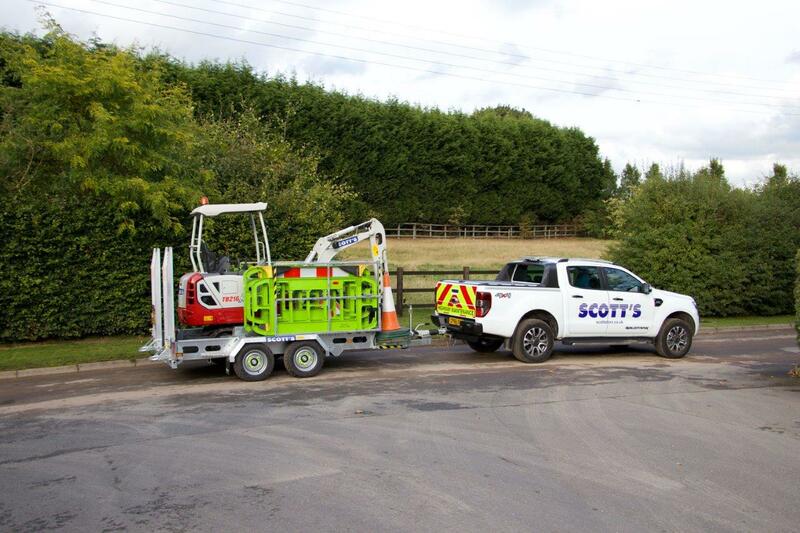 Our trialed, tested and proven award winning Digadoc safety trailer has become the ultimate tool for utility contractors over the last few years.